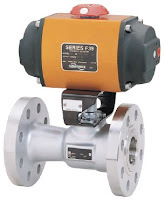 Pneumatic actuator on ball valve. Contact Ives Equipment for any valve actuator application. 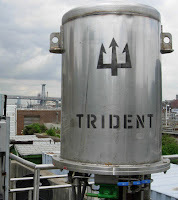 Visit http://www.ivesequipment.com or call (877) 768-1600. The Ives business is built on a foundation of quality people, highly trained and experienced, who take a keen interest in finding the optimum solutions to customers' control problems. Control valve actuators control fluid in a pipe by varying the orifice size through which the fluid flows. Control valves contain two major components, the valve body and the valve actuator. The valve body provides the fluid connections and immovable restrictor comprised a valve stem and plug that is in contact with the fluid that varies the flow. The valve actuator is the component that physically moves the restrictor to vary the fluid flow. Three actuator types are used in control valves and they include spring and diaphragm, solenoid, and motor. 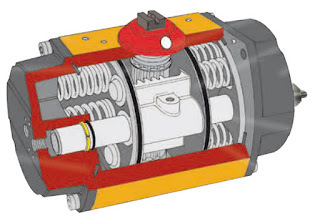 As the name suggests the spring in diaphragm actuator uses a spring and a diaphragm to move the valve stem and plug. 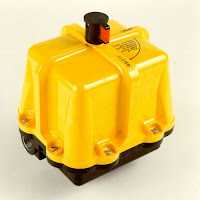 A 15 PSI pneumatic signal enters the housing at the top of the actuator. As pressure is exerted on the diaphragm a downward force is applied against the spring which moves the restrictor. 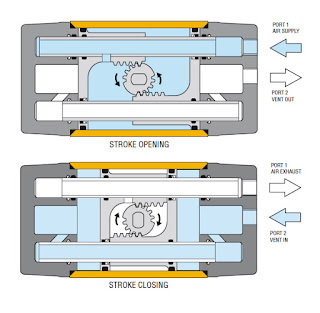 The diaphragm moves until it creates an equal but opposing force against the spring at which time the motion stops as the plug meets the valve seat. 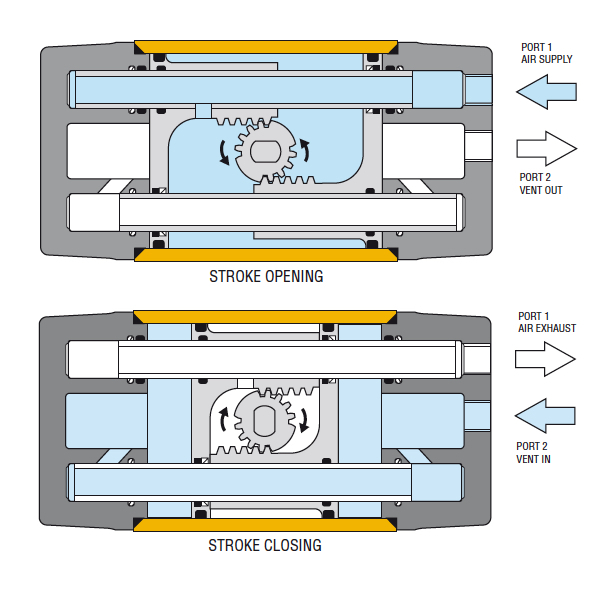 With no air pressure the restrictor is pushed upward by the spring to act as a normally open control valve. 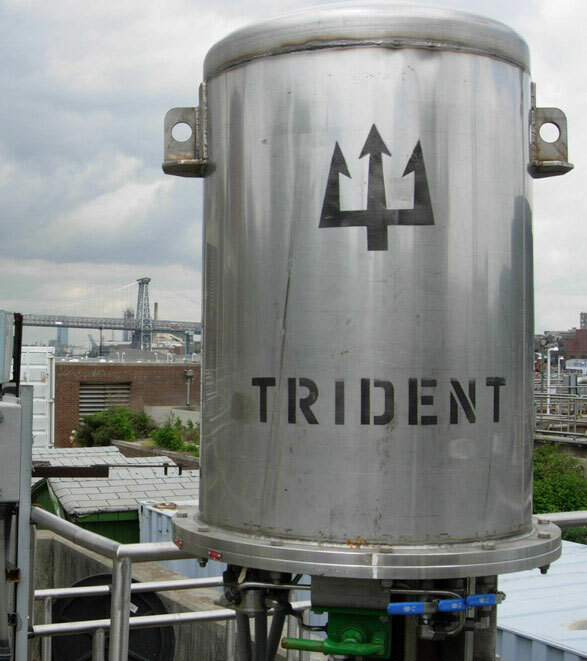 To vary the position of the restrictor and flow through the valve, a current to pressure transducer can be used to provide a three to 15 PSI signal to the diaphragm. At 3 PSI the valve is maintained open, and 15 PSI the valve is maintained closed. 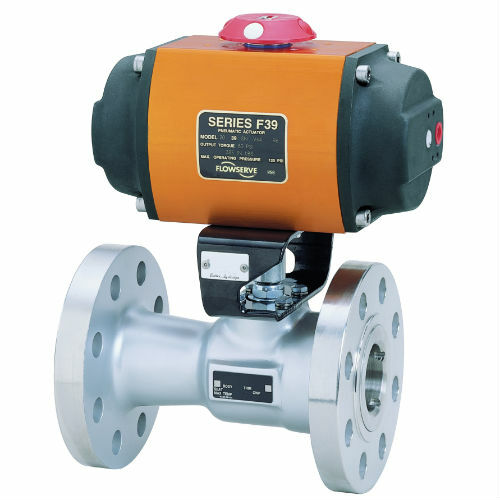 Pressures between the three to 15 PSI range proportionally change the flow of the valve. For example a pressure of 9 PSI applied to the diaphragm moves the spring and valve stem to 50 percent operating range. For on /off control of the valve, a solenoid is used to actuate the valve to a fully closed or fully open position. Applying current to the coil generates a magnetic field that moves the plunger downward against the return spring. With zero current applied to the coil the spring pulls the plunger upwards to the fully open position for a normally open state control valve. Another method for variable valve positioning uses a motor and is referred to as proportional control mode. Using a gear motor attached to the valve stem a servo amplifier provides a DC control signal that moves the valve to the desired position. Feedback is achieved with the wiper arm attached to the valve stem that sends a signal back to the servo amplifier where the position is monitored the servo amplifier drives the motor until the control signal is equal to the feedback signal. Watch the video below for an illustrated explanation. For more information on control valves, contact Ives Equipment at 877-768-1600 or visit http://www.ivesequipment.com. The two most common methods of opening and closing industrial valves are by pneumatic actuators and electric actuators. This video introduces the viewer to electric valve operation. 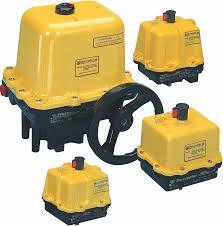 Commonly known as "motor operated valves", or MOVs, electric operators can be fitted to any quarter-turn valve (90 deg. rotation) (such as a ball, butterfly or plug valve), or linear movement valve (such as a globe or gate valve). Most often electric actuators are used where electric power is readily available and a pneumatic air systems are not. They are available in a variety of voltages and torque outputs for various size valves. Accessories such as limit switches, positioners, and hazardous area enclosures are available as well.